At Flight Centre, we love getting under the skin of a destination and seeing it from a local's perspective. So much so that we've partnered with Buffalo Tours, allowing us access to local people on the ground throughout Southeast Asia. 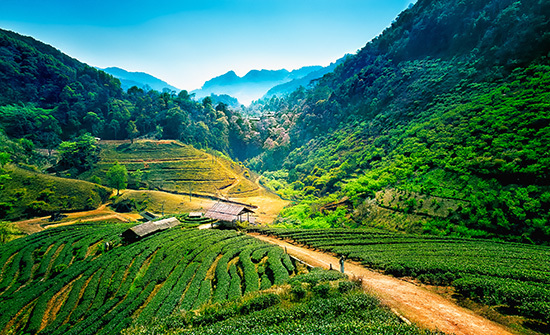 So when you book one of our Thailand holidays, you'll not only enjoy an itinerary tailored to you, but also the service of Buffalo Tours who will be there to welcome you to the country, take you to your accommodation and be on hand to operate your day tours and experiences. What’s the one thing everyone should add to their Thailand itinerary? Phew, so much! Number one would be Chiang Mai and Chiang Rai. The trekking and culture there really rival the beaches! Close second would be the bridge over the River Kwai in Kanchanaburi. There's fascinating history and it's too often missed. And, of course, there's island hopping: Koh Samui, Koh Lanta, Koh Tao are all gorgeous and famous for good reason. I suppose it's all about what you want – whether that be nature, urban culture or beach breaks. We've got everything! This might be a tricky one: where is the best beach in Thailand? That's like asking where the best Pad Thai is! But let's give it a shot... I'm going to say first Kata Noi Beach in Phuket (according to visitors!). Personally I love Koh Jum. It's not completely unknown, but (for me) quite unique. The locals really love it there. Koh Jum used to be called Koh Pu (which means "crab") so some locals still call it. Koh Jum is about 15 miles outside of Krabi in the Andaman Sea. It's nicely uncrowded and very idyllic. Getting there means flying into Krabi, and then catching a ferry to Koh Jum, but it's worth the journey in my opinion. If I only had time to visit one island, which one would you recommend and why? I'd say Phuket Island, because there's so much to do; snorkelling, night life, shopping and beaches. What part of Phuket is your favourite? 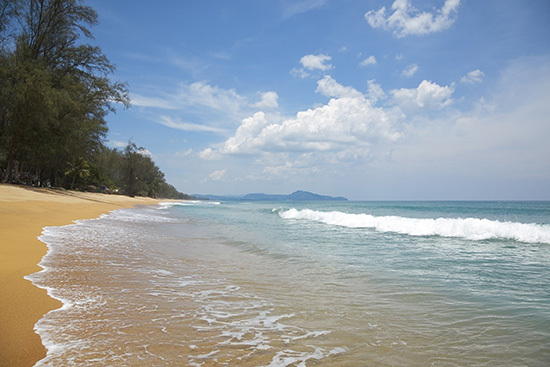 Mai Khao Beach, for sure – it's so peaceful. I love to get away from things there. For a smaller beach though, my second choice would be Koh Chang. It's really lovely and I could stay there for years. 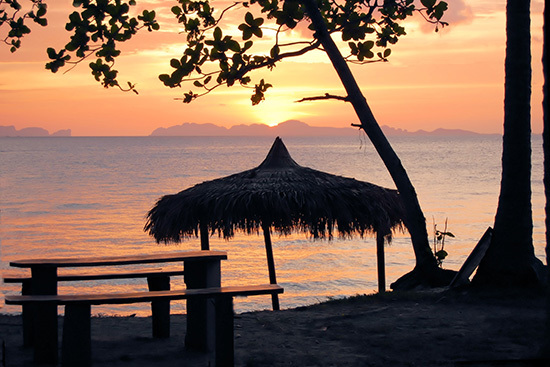 What do you love most about Koh Chang? At the risk of repeating myself, the beach there. The waves are low so it's easier to swim (which is good for me). Specifically, I recommend visiting 'Lonely Beach' as it's much quieter than the other beaches. You can fall asleep under the trees there. What’s the best wildlife experience to have in Thailand? Khao Yai National Park for sure, it's one of the few places in Thailand where you still find wild elephants. 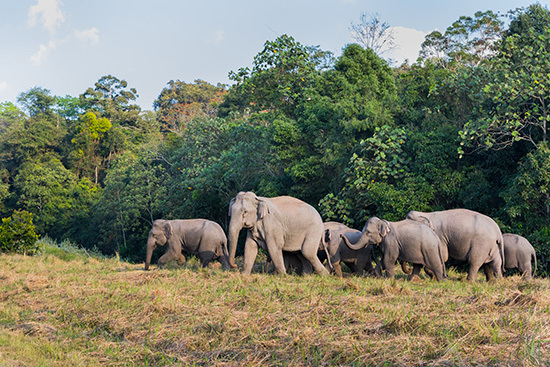 For those who want to really experience Thailand's nature up close, this is a great alternative to elephant camp visits. Important note though: you have to visit with a ranger because Khao Yai National Park stretches for 770 square miles and you might get lost. Good tip! So onto our other favourite topic, which is the best city for Thai food lovers? Bangkok for sheer diversity – definitely go to Chinatown. Is there a particular dish you'd recommend people try? For Thai food in general, I'm always surprised that some visitors miss khanom beang yuan! It's a crispy egg crepe, or Thai crispy pancake, served with different fillings. Oh. My. Yum. If I wanted to get away from the crowds, where in Thailand should I go to? The Isaan region. It's so large but so unexplored. It's the agricultural heart of Thailand and so not very touristy. For places to visit there I love Roi Et and Nakhon Phanom. The people there are so lovely. It feels very different from Bangkok. Fun fact: Nakhon Phanom is near Vietnam and Laos so there's an interesting mix of culture there. 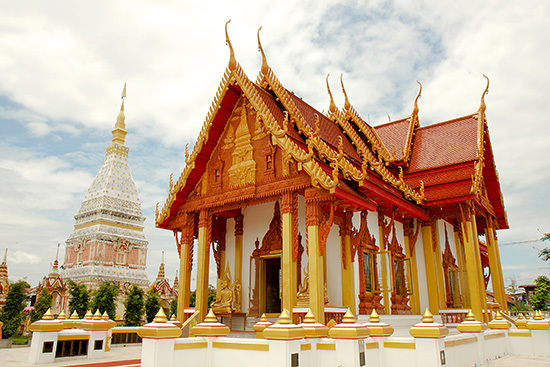 We agree, Nakhon Phanom is very beautiful, especially the temples! Yes, absolutely. You can feel something very spiritual there. If you're planning a trip to these places I recommend visiting with a guide as English is not widely spoken. All of our Thailand holidays come with the service of Buffalo Tours. For more advice from a local in Southeast Asia, follow us on Twitter to join in on our #AsiaInDepth chats with @Buffalo_Tours.